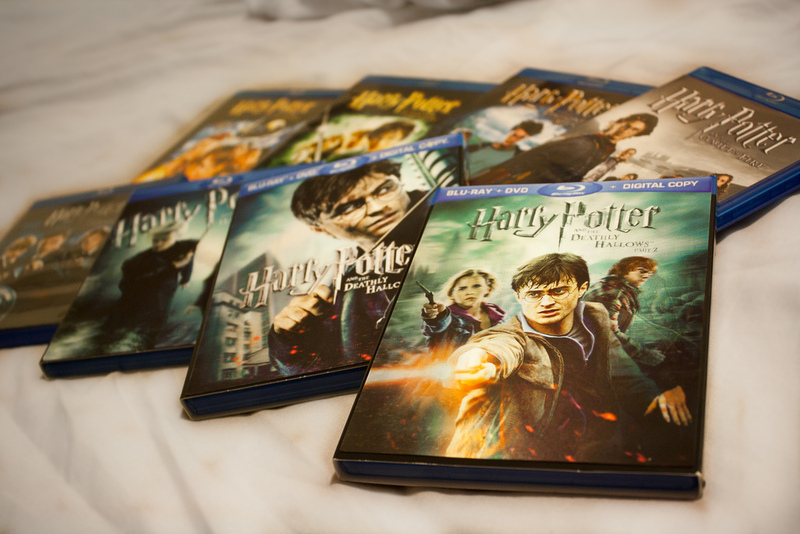 How many times have you seen all of the movies and reread the books? 1. How often do you reread or rewatch the Harry Potter Series? OK! I'll admit it, more than 10! We've created a poll for a bit of fun and we'd love to hear your answers! I've personally read the books more than 5 times, and I've honestly lost count how many time I've rewatched the movies........ AND I DON'T CARE! HAHA! I can’t help but revisit the series, I get so sad when I get to the end! I watch the movies over and over and over and ... (you get the picture). I start at the beginning and once I finish them I start all over again! I've watched them so many times I can usually tell you the next line that will be said. But, I always notice things I didn't notice before, or end up with a million more questions each time I watch them! People always tell me I'm "very observant" as I notice the small details in movies that most people miss! I listen to the Audiobooks by Stephen Fry most nights, always picking up something new, but it's very calming to listen to at night.